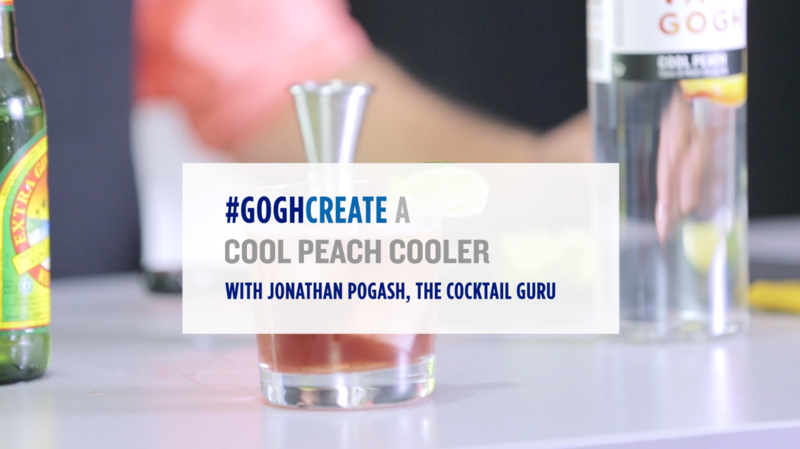 When temperatures begin to rise, keep your cool with a simple summer favorite, the Cool Peach Cooler. Our Van Gogh Cool Peach undergoes an all-natural, double infusion process with ripe peaches and a hint of mint to give it an outstandingly fresh finish. One warning- with an added mix of refreshing ginger and sweet pomegranate juice, this cocktail is known to make mouths water.